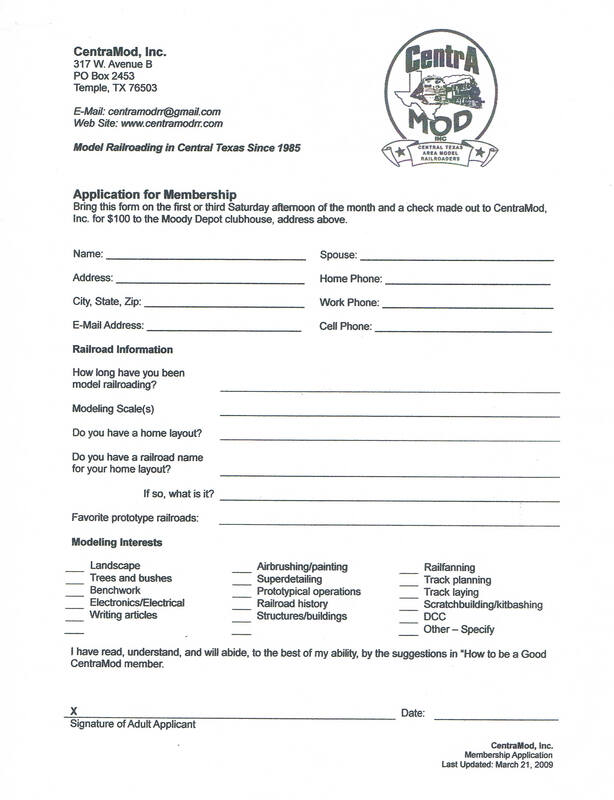 Club membership requirements are really quite simple: Have a keen interest and desire to work in Model Railroading. Come on down and visit the club to see what we have to offer. Participate in the building and maintenance of permanent club layouts. Help setup and take down modular layouts at shows. Help with the annual club train show in September. Model equipment run at the club should be kept in good condition and up to club standards. Do not run or use other member’s equipment without their permission. Attend business meetings on the 1st Saturday of the month at 10:00 AM. Attend open house run days on the 1st and 3rd Saturday of the month from 1:00 to 5:00 PM. Try to participate in club out of town trips. While each member bears their own expenses, they’re fun and everyone gets to know each other better. Family participation is encouraged with one adult member being the voting member. However, parents are responsible for keeping their children’s hands off other members’ modules and equipment. Many of these items are expensive and took a lot of time and effort to build. Suggest ideas to improve the club or promote the hobby of model railroading. Be friendly, especially to open house guests. Pitch in with cleaning the clubhouse and providing refreshments. Prospective members will submit their application to a board member or club officer and serve a one-year apprenticeship that begins with their initial dues payment. Dues are one-hundred ($100) dollars per year, payable annually in person on January 1st. Prospective members joining after January 30th will have their second year’s dues prorated from their dues payment date until January 1st the following year. Each prospective and full member may choose no more than two (2) scales for the purpose of allocating organizational layout funds. Primary and secondary scales should be specified if two scales are chosen. Prospective members are assigned a mentor in their scale. Mentors provide guidance, answers, and help as needed. Good members will attend a combination of seven (7) business meetings, run days, and/or the annual show. Sign-in sheets and work show schedules are used to assess attendance.